LOCAL TRADE | TOP CONDITION | LOW KM'S | CLEAN CARFAX This Terrain was traded in already great condition. Prior to going on sale we put it through a detailed inspection and replaced tires, front brakes, performed a full service including oil and filters, in additon to having the vehicle detailed and polished. This truck has power locks, windows, with keyless entry. The interior is a very nice charcoal cloth. Backing up is easy with the rearview camera. Anti-lock brakes makes winter driving easy. Passenger space and rear storage is plentiful. 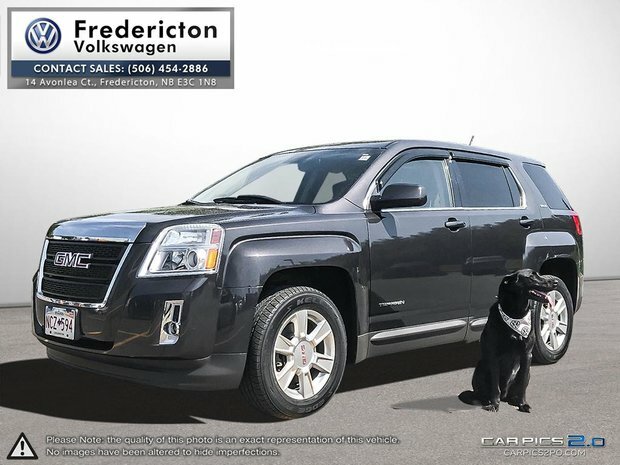 Fredericton Volkswagen has financing options with all major banks and credit unions. Give us a call (506-454-2886) drop by, or visit our website to book a test drive. www.frederictonvw.com. Ask about our "OUT OF TOWN BUYER'S PROGRAM". 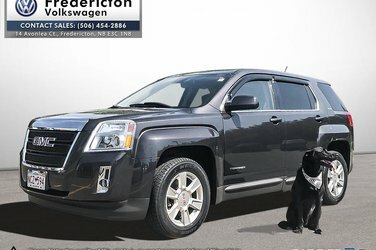 Have a look at our other pre-owned vehicles to see more of our SUV selection.